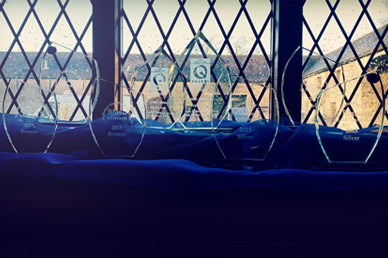 2017 was another fantastic year for awards. 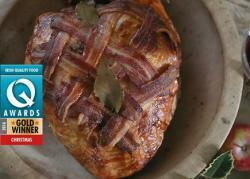 Wining Gold for Christmas Meats award category at the Irish Quality Food Awards for the Dunnes Stores Simply Better Basted Turkey Crown with smoked whiskey cured bacon and seasonal apricot stuffing. A second win for this award in recent years. Hogan’s Farm Charlesfort Turkey Roulade and a product we produce for Dunnes Stores the Dunnes Stores Irish Reared Butter Basted Turkey Breast Joint. 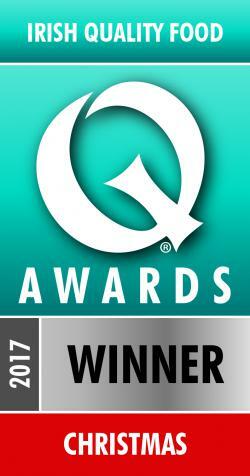 Our Traditional Free Range Woodland Bronze Turkey Crown Wins Irish Quality Awards Q Christmas Meats award. Our second year in a row to win this presitgous award and we are so delighted that it is for our Woodland Bronze. The winning crown is gently basted in butter for extra succulence and the carefuly latticed in smokey whisky cured bacon with a knob of culuted butter. 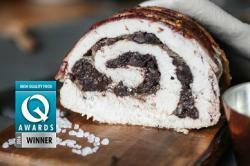 Our very own Charlesfort Turkey Roulade wins Irish Quality Food Awards Q Poultry meats award.. 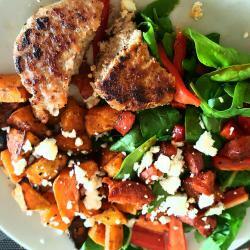 It was also served for the main course at the dinner and we were overwhelmed with the postivive feedback. Our roulade is our finest charlesfort white turkey breast , stuffed with Kellys of Newport black pudding and topped with a delicious cranberry chutney and then rolled over and dressed with streaky bacon. Our New Turkey Sausages picked up Bronze at 2016 Blas na hEireann’s Sausage ( other meat) category. Brilliant achievement for a new launch into the market..watch this space for more entries to come. Total Freedom Traditional Free Range – is a unique certification given to our Woodland Bronze Turkeys. We were awarded this status in November 2014. This is the highest standard possible for Free Range turkeys! The title of Total Freedom Traditional Free Range is all about the rearing and quality of life of an animal in our case our turkey. 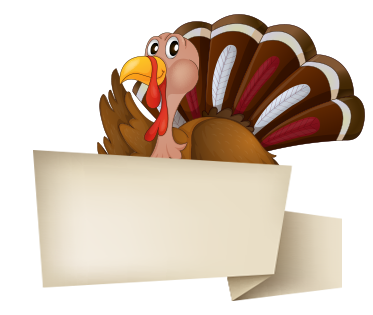 There are a number of guidelines that must be followed in order to be awarded this status which includes the amount of space that these slow growing turkeys have to give them the freedom that is natural to their species. Our Woodland Bronze are awarded this status because of the unique surroundings the turkeys are reared in, they have complete freedom to roam in the open air of the natural leafy woodlands surroundings Charlesfort estate. Hogan’s Farm scoops the overall Christmas Q Gold Award at the prestigious IQFA for their Dunnes Stores Simply Better Stuffed Crown on the bone. This major accolade beat competition in their own fresh meats category and this Gold award also won against all other Christmas food’s. 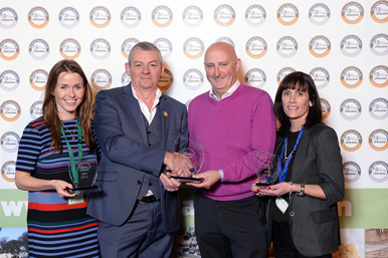 The recent Blas na hEireann Irish food awards held in Dingle , saw us picking up 5 awards including 2 Gold’s, 1 Silver and 2 Bronze. 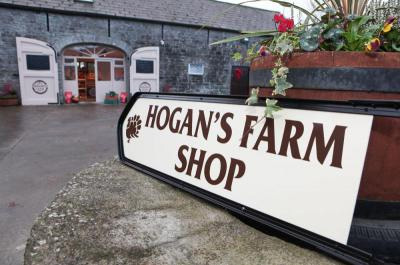 With 7 awards under their belt for their fresh turkey products, Hogan’s Farm is the most recognised and awarded fresh turkey producer in Ireland for 2015.